Global Enterprises are Manufacturing & Suppling of superior quality Thermocoal Ball products to Textile Garment application. Completely replaces washing detergent Long lasting Dermatologically testedThe award winning Laundry Egg is a complete replacement for washing detergent. Just pop it in the drum of your washing machine – no powder, liquid, tablets or gels required. 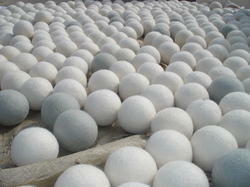 ECO Laundry Balls offered by us are based on the physical principle of washing clothes. Use of pure natural minerals, negative ions and far infrared rays facilitate emission of multifunctional ceramic laundry pellets. These laundry balls divide the cluster of big water molecules into smaller ones and activate the water. Features OF Liana Washing Balls. - It is designed with round shape in order to minimize the damage of Laundry. - Toss the wash ball into your machine and watch your clothes come out fresh and clean! Lesto Healthcare India Pvt Ltd.
laundry ball is a great money saving product that completely replaces your normal laundry washing soaps and detergents. It is made by using cutting edge technologies from the finest raw materials. These are appreciated widely for their powerful cleaning as well as neutralizing powers, without damaging the fabric. It helps to save detergent, water, and electricity and offers cleaning results better than ever. It is suitable for domestic as well as commercial uses and is environment friendly. Relying on our expertise in this domain, we are engaged in offering Washing Ball to our respected clients. Suitable for automatic washing machine, semi-automatic washing machine. - The washing and a few together into the washing machine in the laundry ball, rinsing, dehydration time also. 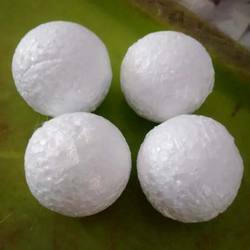 With a firm commitment to quality, our organization is engaged in trading, importing and exporting a wide assortment of Laundry Ball to our respected clients. Short Description: This Eco friendly washing/laundry ball make water soft and improve cloth cleaning quality. its consume less detergent to wash cloth.